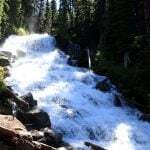 Late spring is often the best time of year to see waterfalls as the snow on the mountains is quickly melting making for spectacular amounts of water coming down the mountainous rivers. 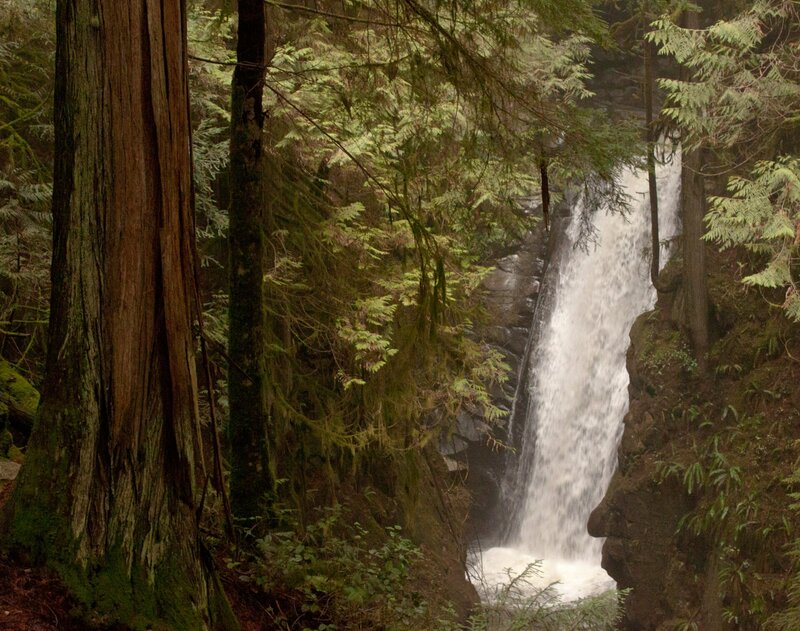 The following is a brief guide to some of the waterfalls near Vancouver and in the Southwestern British Columbia region. Use the map to find each waterfall or scroll down for a description of each. A note about safety, while waterfalls are scenic and it’s tempting to get close to snap that photo, everyone should exercise extreme caution. There have been several deaths in the past few years from people being swept over waterfalls to people falling from cliff ledges. Stay on marked trails, within proper viewing areas, and avoid retrieving items that have fallen and are next to the cliff edge. Use common sense and stay safe and you will enjoy the outdoor experience. 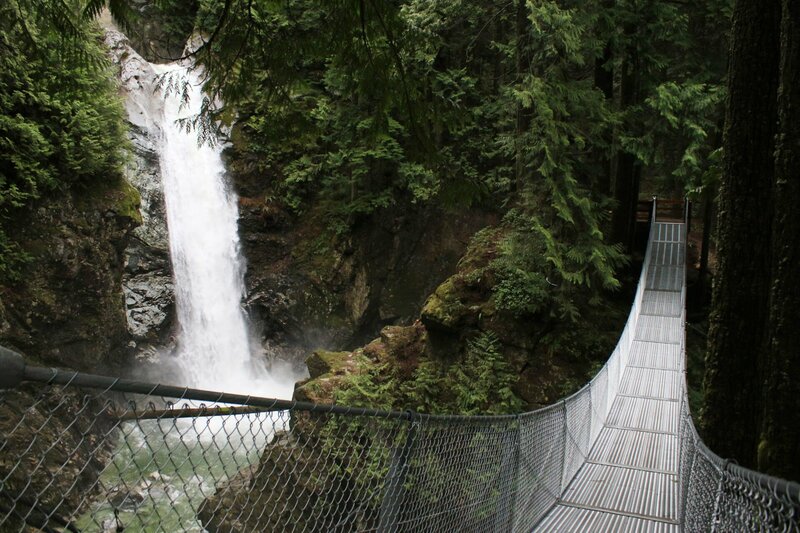 Twin Falls is located along the Baden Powell Trail, about 20 minutes down stream from the Lynn Valley Suspension Bridge. A wooden bridge acts as a great viewing platform for the small waterfall. 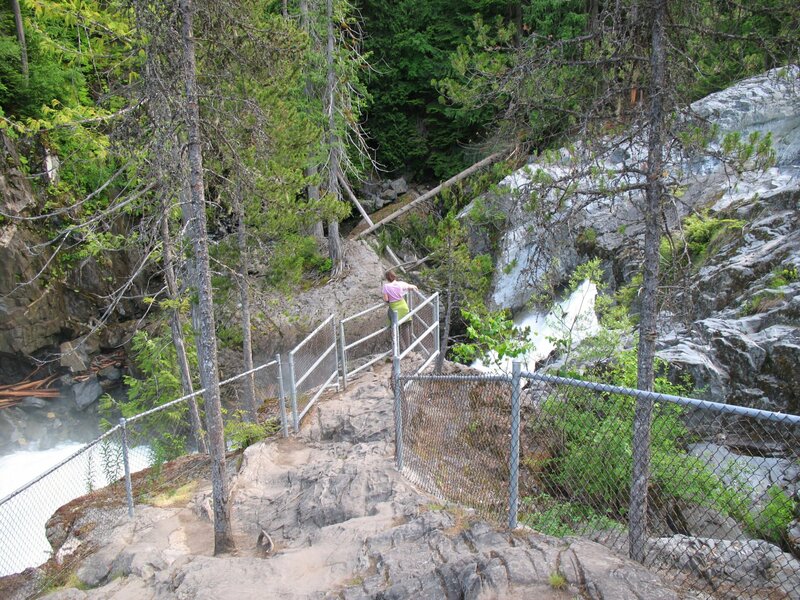 This is a popular place for tourists to visit due to it’s proximity and short hike from the suspension bridge. 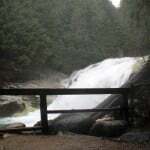 Located on the mountains to the west of Squamish and often visible from the town, Monmouth Falls is accessible via a trail that goes to Echo Lake. This trail gets very little usage as it can only be accessed by boat from the other side of the Squamish River. 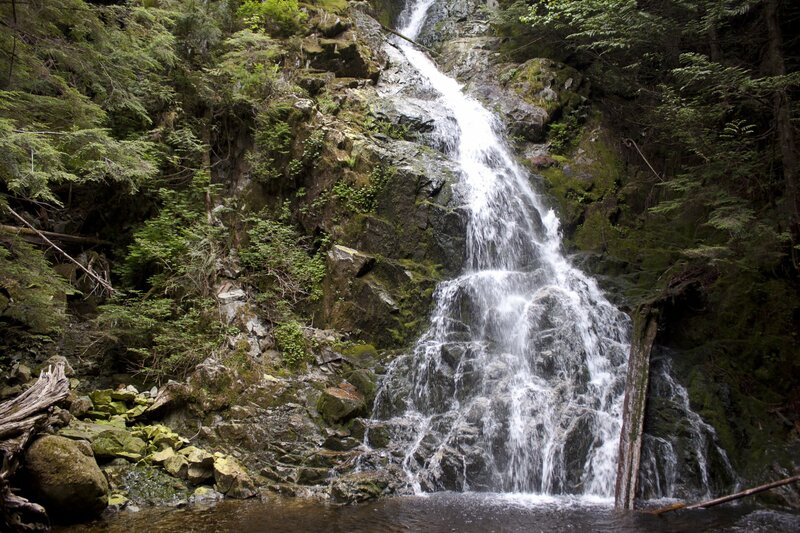 Located along the trail to Rainbow Lake, the falls are a popular “shorter” hike along 21 Mile Creek. The trail passes through lush forest, following the creek the entire distance to the falls, before continuing to Rainbow Lake. 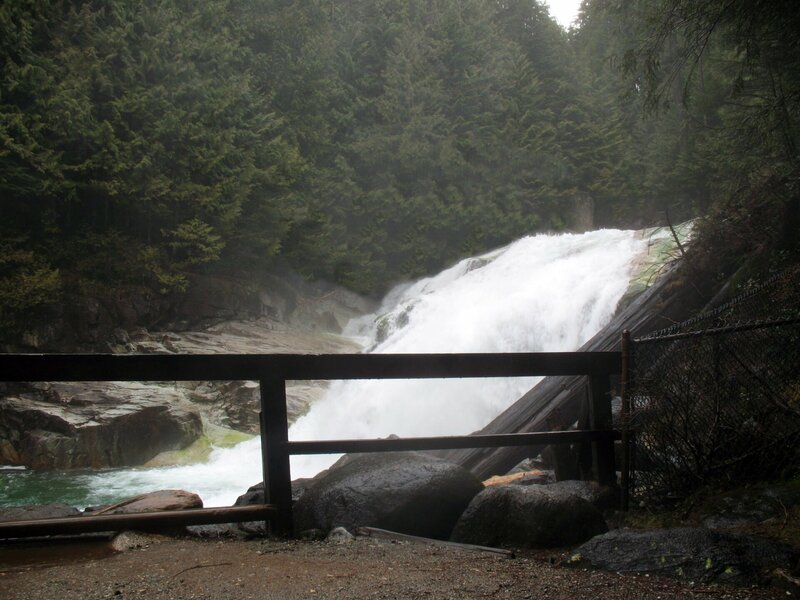 One of Pemberton’s most spectacular waterfalls but also a challenge to access, the Place Creek trail is located well north of Pemberton on the road towards the town of D’Arcy. This is a steep, remote trail and only recommended for experienced hikers. The waterfall between Middle and Upper Joffre Lakes. 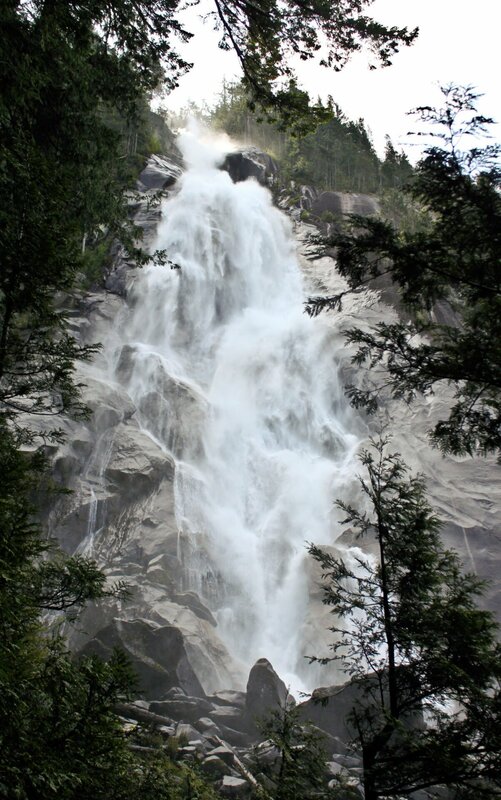 Located in Indian Arm Provincial Park towards the northeast shore, Granite Falls is the largest waterfall in the region. 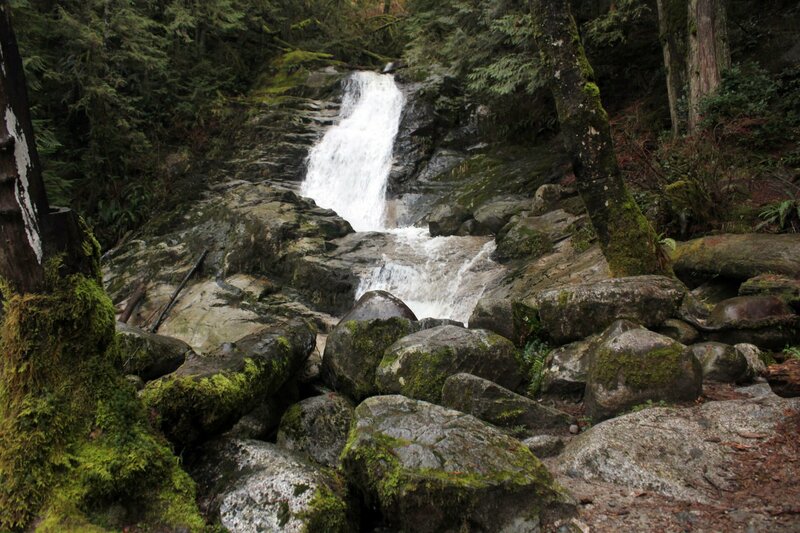 Primarily accessible by boat (although the rugged Indian Arm Trail is a multi-day hiking trail that passes through the area), the waterfall is next to a scenic camping site. 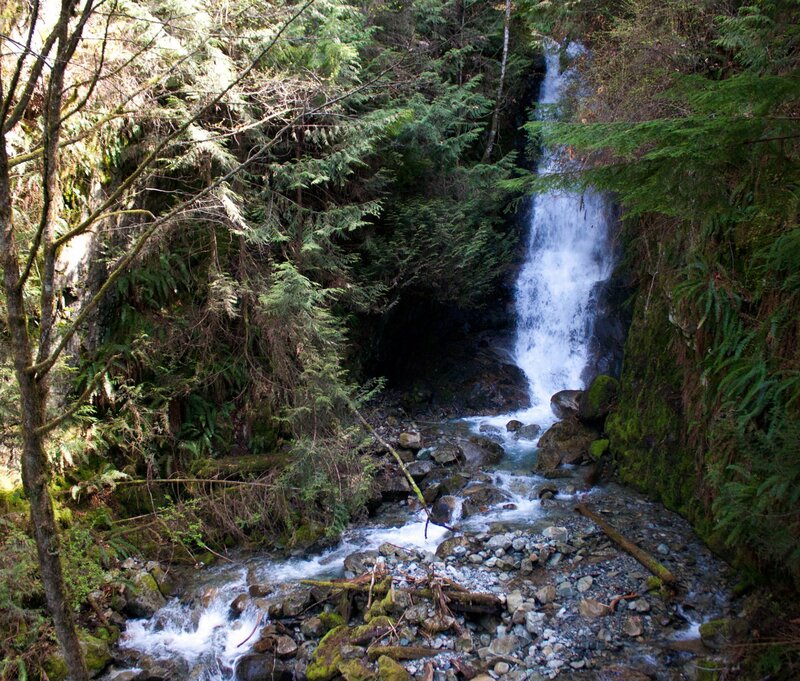 Silver Falls is located about 2/3’s of the way up Indian Arm on the west shoreline and is best accessed by kayak from the Deep Cover area. 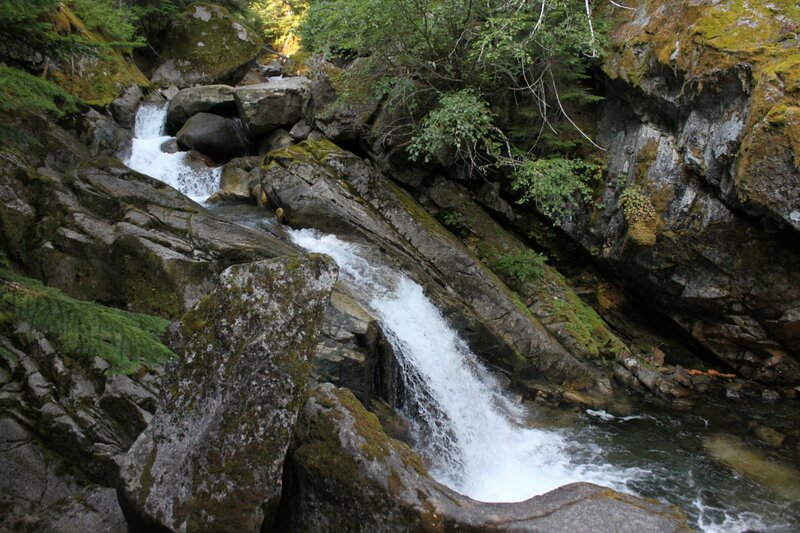 The narrow stream of water cascading over the rocks is a great place for a day trip by kayak. 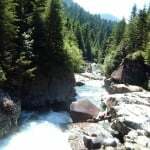 If you would prefer a physical book with detailed information on waterafalls, their locations, and photos, the book Waterfalls Of British Columbia is the best option. 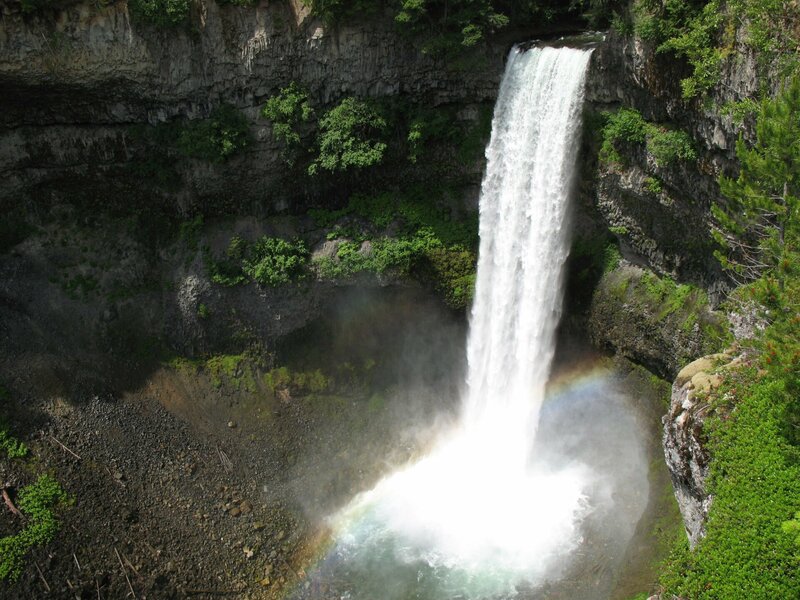 This book covers the entire province, going being on the Southwest BC region of this post, however it discusses several spectacular waterfalls such as Kinuseo Falls and Helmcken Falls. 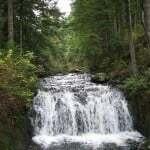 The World Waterfall Database is a great online resource of user-submitted waterfalls and includes many waterfalls from the southwest British Columbia region. 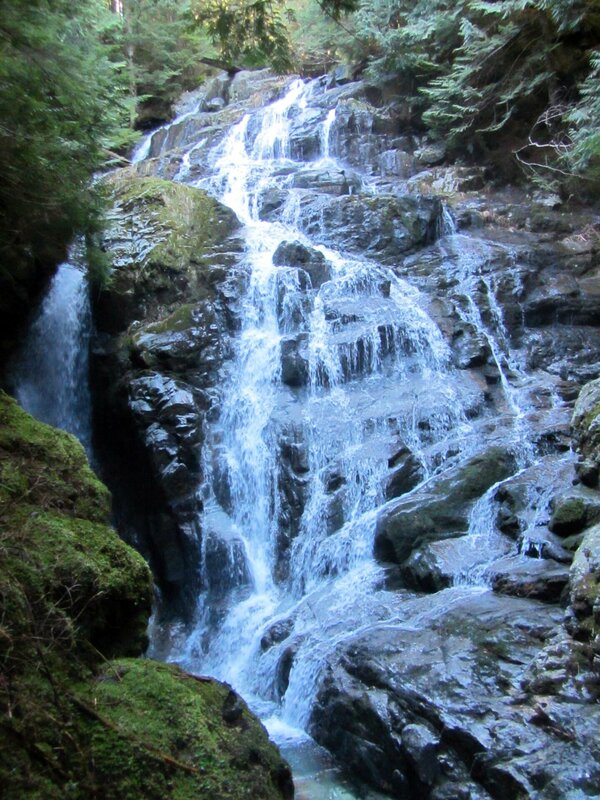 There appears to be several waterfalls in their database not included on their list but many of these waterfalls are difficult to access and in very remote areas. 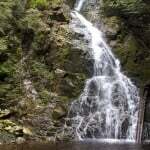 Have we missed any waterfalls in the region that you have been to? Leave a comment below to let us know. Good one! Added to the list to visit. Flood Falls, Hope B.C. Said by some to be the highest falls in BC. 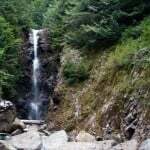 What town in BC has a waterfall right in the centre of town?